Blowout Summer follows Dee Dee as she reflects on one memorable summer filled with surfing, drugs and experimentation. What served as your inspiration while writing this wild summer? It was a different time. Everything about living in a small beach town was easy. California was changing right under the States noses. People and their crazy experiences during that time, led me to write about their antics. 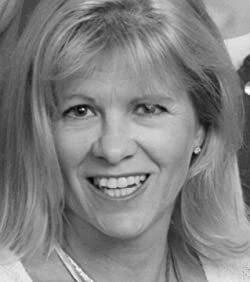 Dee Dee is a character, I felt, continued to develop as the story progressed. What were some obstacles you felt were important to her characters development? She was on the verge of becoming an adult and she still wanted to have fun making bad or detrimental choices. She needed to become independent instead of going with the crowd. This novel takes place in the 70’s when a lot of experimentation was going on. What were some themes you wanted to capture while writing this book? The world of surfing, clothing styles, and the music of that time. It features the same characters. They can’t seem to stay out of trouble. It should be done this year. Surf, party, and romance take center stage in the breezy novel Blow Out Summer, as a group of local surfers in Huntington Beach, California, enjoy a summertime of hanging out and having fun. Their story takes place in the mid 1970s, when no one was paying much attention to the drugs being brought into California at an alarming rate. But Dee Dee’s eyes are about to be opened. Dee Dee lives in a very well-to-do area and is introduced to social drug experimentation and drug trafficking while maintaining a normal family life. She and her friends enjoy the surf up and down the coast of California. Her friends run the gamut from the very wealthy to beach bums she met at the pier. Dee Dee’s lazy summer is spent under beautiful sunny days with slow drifting clouds and perfect barrel waves. But the ups and downs in her relationships and the dangers of dabbling in drugs ultimately force her a decision that will change her life. Dee Dee is a surfer, an aspiring tennis player, and a girl who is always up for a good party. One summer in particular stands out in her memory as she reflects upon her life. With her close band of friends around her, Dee Dee sets out to thoroughly enjoy her summer off and does not hesitate as she goes about seeking the company of friends new and old. 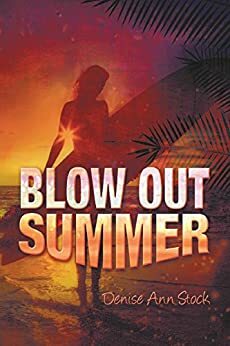 Her “blow out summer,” as she calls it, teaches her some valuable lessons and gives her time to reflect on her own choices as she learns who is worthy of her affection and trust and who falls short. Set in Huntington Beach, California, Blow Out Summer, by Denise Ann Stock, reads less like a novel and much more like a memoir. The conversational tone of the book makes it a quick and easy read. Dee Dee’s reflections on her experiences with the drug trade and her laid back approach to her participation in drug trafficking read shockingly smoothly. For as deeply involved as Dee Dee seems to be in buying and selling illegal substances, she seems much less concerned than she should be. I attributed her naivety and lack of real concern to the time period, the mid 70’s. I found myself waiting for that one point in the story that would point to a gripping climax. Everything in Dee Dee’s eventful summer points to an action-packed high point. However, with all her close calls, second guesses regarding her associates, and her relationship woes, there never came that one moment where the entire book seemed to pull together. Reading much more like a diary of the summer, I was a little disappointed not to see a resolution to many of the dilemmas created by the main character and her friends. I believe I was more determined to find answers than Dee Dee herself. The one scene providing the most harrowing visual comes when Dee Dee’s friend, Jaycee, makes a frantic call about a possible overdose. I felt, as a reader looking for answers, this was an ideal opportunity for the plot to tie neatly together with some life-changing decisions being made on the part of both Dee Dee and her friends. As in real life, however, secrets prevail, and not much changed for those most deeply entangled in drug use and trafficking. As pleasant as Dee Dee seems throughout the story and as much as her remembrances of her eventful summer kept me interested, I felt the overall story was missing something. The memoir style of writing Stock uses is appealing and will suit readers seeking a fairly light read without highly stressful rising action.